Chas Everitt Randburg, very excited about our 7th year Mandela Day visit to the Ann Harding Cheshire Home. This year was very special. Bed-socks for 40 residents, knitted by the agents - this had taken months to do. Donuts for the social bit. Books, clothes, linen and crockery for the Thrift shop - generating funds for the home. 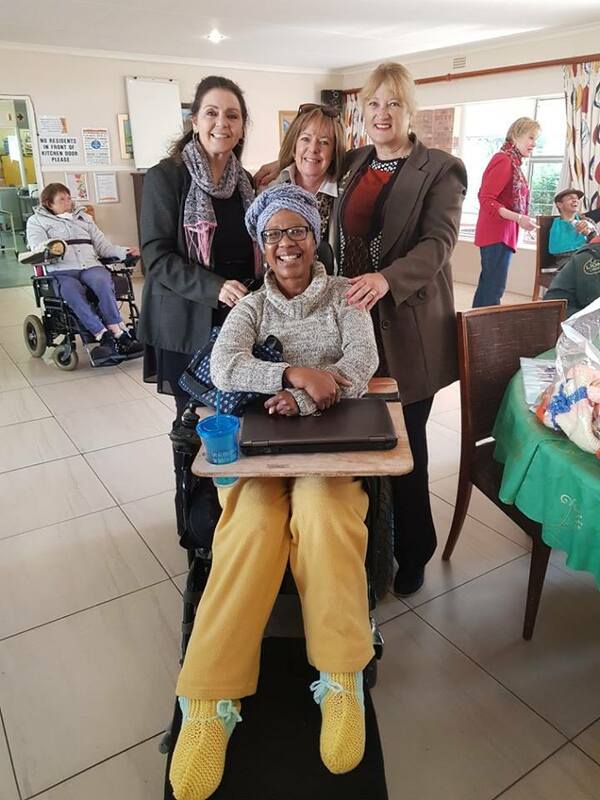 Jackie and Esme and our dear friends at Ann Harding made us feel so welcome. They also LOVED our 2 Yorkshire Terriers, Tyke and Tyli. Fun had by all - watched the scrap booking crowd, the Thrift shop activity and simply camping out on the porch soaking up the sun and catching up. Wonderful feeling of sharing, togetherness, camaraderie and family had by all. - True Mr. Mandela style!